devon welsh directly dictated the ethos of majical cloudz when he intoned “listen to this song / i want you to know it’s how i feel” to open their 2013 standalone cut “savage.” the track didn’t make it onto the duo’s breakthrough album from that same year, impersonator, but “savage” mirrored the record’s blunt, emotive, and minimalist tendencies so well that it felt like a proper extension. as majical cloudz has continuously proved to be one of those acts that knowingly transcends the confines of writing music as a band to explore the broader realm of performance art, it stood to reason that welsh and collaborator matthew otto would compose something entirely different in the wake of impersonator. but as are you alone? illustrates, the duo chose instead to explore the parameters and outer limits of their carefully-crafted sonic world, at times challenging perceptions while at others firmly holding up pillars. welsh was undoubtedly the most enduring facet of impersonator, from his intense lyrical delivery to the wide-ranging contents of those lyrics, and the rich baritone he employed ensured that his vocals would cut through, enriching otto’s sparse, vaporous production. the opposite holds true on are you alone? as the subject matter settles into proclamations of intense feeling and more positive explorations of love and love lost, welsh slips into a higher register, one that’s more ambitious yet at times can truly hinder a song’s development. we’re forced to reckon with this shift almost immediately. the climax of welsh’s vocal line on “control” swells through the telling phrase “will you let me change? / i want to but / i think you want me the same,” one that speaks immediately to the song’s subject but also serves as an analogue to the new boundaries majical cloudz explores. those changes are sometimes hard to navigate; both the album’s title track and its follow-up “so blue” are vocally unsteady, perhaps purposefully so, but otto’s production compensates time and again. his arrangements are explorative, more orchestral (see the aforementioned “so blue” and opener “disappeared”), and altogether more aware of the space they occupy, working laterally rather than vertically to achieve sonic nuances. it’s also worth mentioning that otto’s overall timbre of choice eventually cedes to welsh’s new vocal register; “silver car crash” and “if you’re lonely” are pillars of the album’s back half and are propped up by warbling organs and nasal synth leads, respectively. 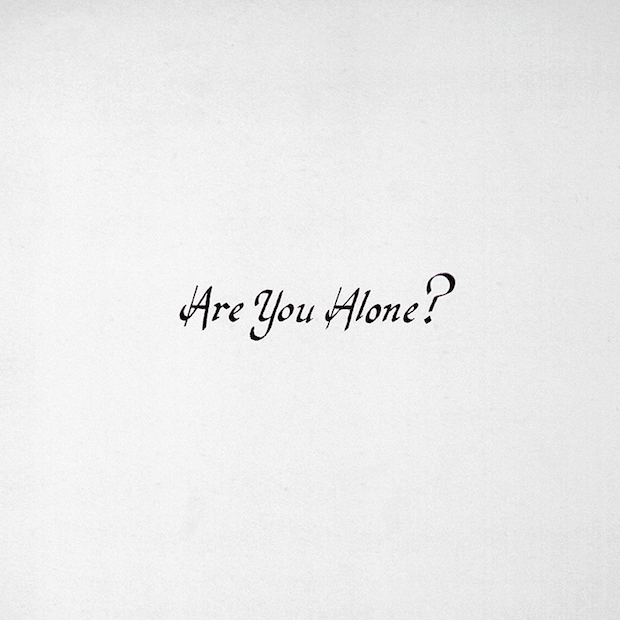 much of are you alone? is not instantly memorable. tracks bleed together, either due to thematics or the consistent organ as otto’s centerpiece, in an almost antithetical fashion to the quotable maudlin hooks sprinkled throughout impersonator. welsh’s lyrical bright spots do persevere, however; it just requires a bit closer attention. the chilly atmosphere of “change” is augmented by profound statements like “the one you are today / is you until you rot” while “if you’re lonely” reads as one giant mea culpa for welsh’s previous feelings of hopelessness before evolving into a self-help testimonial for other lonely listeners, and the overall intensity of crown-jewel “downtown” is enough to make anyone momentarily forget the album’s shortcomings. from a vocal and melodic standpoint, are you alone? is largely a misstep. welsh’s voice wavers so much at times that it bypasses the crutch of hesitant vulnerability and moves squarely into the realm of flat and out of tune, while there’s also a clear absence of the simple melodic genius and resonance that dotted impersonator. but to simply write off the album as mediocre does a disservice to otto’s production and arrangements, a vast and intricate soundscape which could – and should – be scoring films, and ignores welsh’s penchant for incredibly direct lyrics that can become intensely personal at any given moment. it’s an uneven overall performance, sure, but are you alone? is also an optimistic, challenging, and fascinating snapshot of the relationship between two highly gifted songwriters. save for a blustery fall afternoon.